Asset Tracker for Networks is for companies that need a network inventory control software. 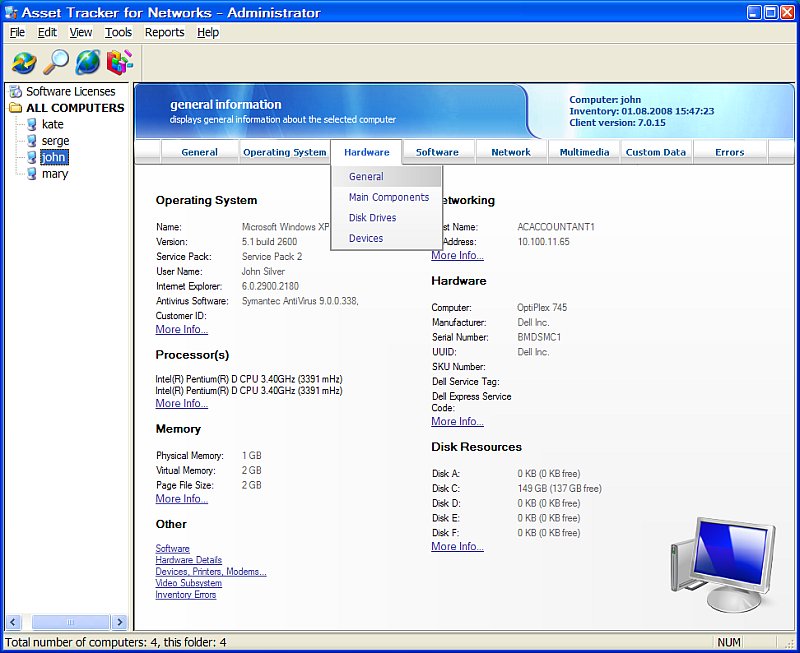 It provides the network admin with graphical views of network PCs. A network inventory tool for collecting information about network PC's hardware, software configuration and equipment in your LAN.